The trek from Albany to York today was a successful one for SJ Wolfe Racing with Jester Ferrari drawing clear late for a strong win in the Visit Northam Racing Next Wednesday Handicap (Race 8-1200m). 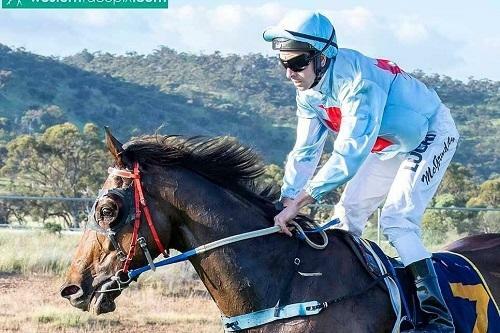 Well ridden by stable jockey Shaun McGruddy, the five-year-old daughter of Testa Rossa followed up a good last-start placing at Northam with a decisive display this afternoon, scoring a soft 1-1/4 length victory. It was Jester Ferrari's second win in 12 starts since joining Team Wolfe in late 2017 and she appears to have enough upside to continue working her way through the grades this campaign.